Boron is critically important for calcium retention. 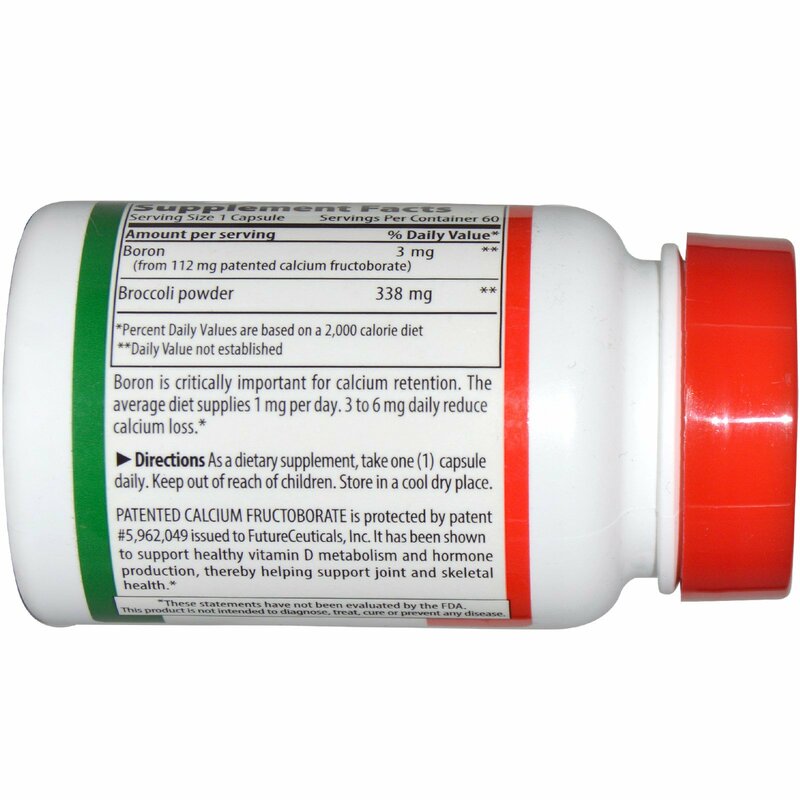 The average diet supplies 1 mg per day: 3 to 6 mg daily may reduce calcium loss. Patented Calcium Fructoborate is protected by patent #5,962,049 issued to FutureCeuticals, Inc. 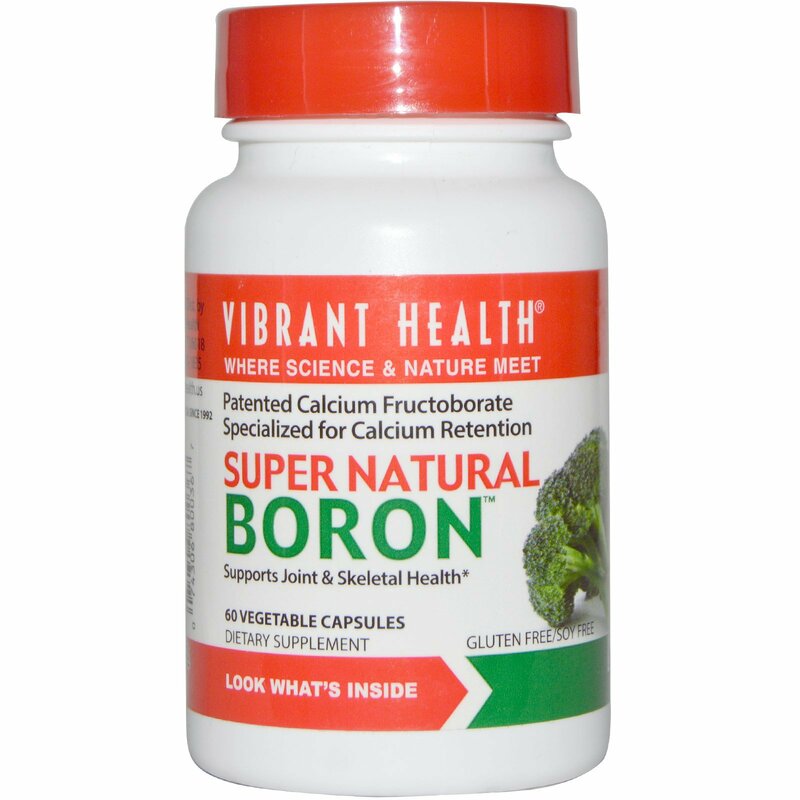 It has been shown to support healthy vitamin D metabolism and hormone production, thereby helping support joint and skeletal health. As a dietary supplement take one (1) capsule daily. Microcrystalline cellulose, magnesium stearate, cellulose capsule. If you are pregnant, planning to become pregnant, breastfeeding, taking any prescription medications or have a medical condition, consult your physician or healthcare professional before taking this product. Store in a cool, dry place. Keep out of reach of children.